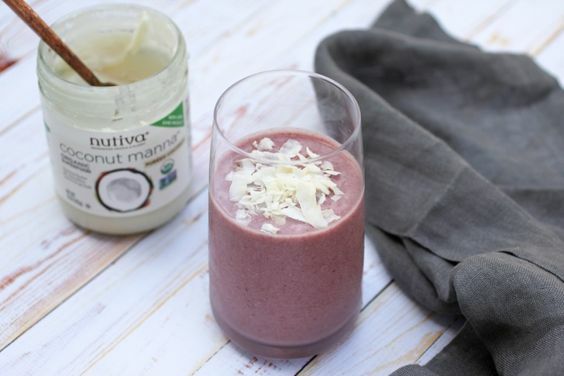 I have a pretty big crush on Nutiva’s Coconut Manna at the moment. I know I’m late to the party, but this stuff is amazing. 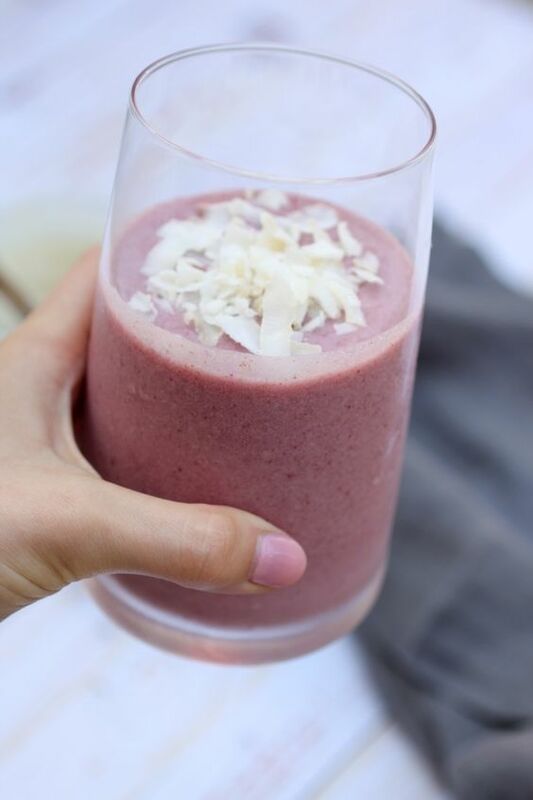 I recently bought and froze a bunch of organic strawberries that were on sale and I was craving a rich, coconut berry smoothie. The Coconut Manna is such a great alternative to nut butter or other thickener & pairs perfectly with the slight sweetness of berries. Combine nut milk, frozen strawberries, coconut manna, chia seed and optional dates in high-powered blender like the Vitamix S30 personal blender. Blend on high until ingredients are well combined.